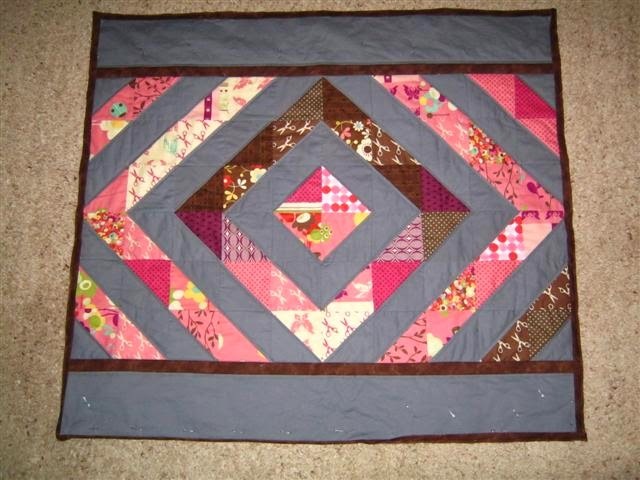 This babyquilt was finished in February. I've left the borders unquilted to either add the name of the recipient-to-be (this quilt was not made for any specific baby) or some random stitching. 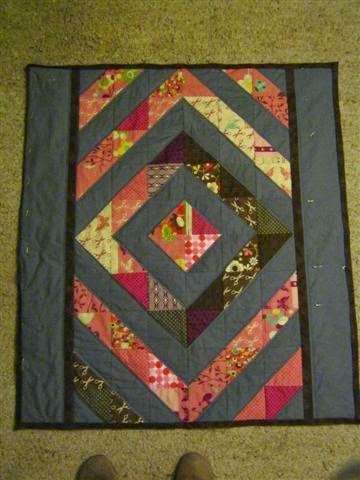 I'll try to take some photos of the back and the quilting. I basically stitched with a walking foot about 1/4" from the coloured diamonds in the gray areas, to emphasize the diamond pattern. I stitched-in-the-ditch along the brown strips holding in the diamonds. I painfully noticed my long break in finishing a quilt. I cut my binding strips 2" instead of the usual 2 1/4" I do to get a nice tight binding. 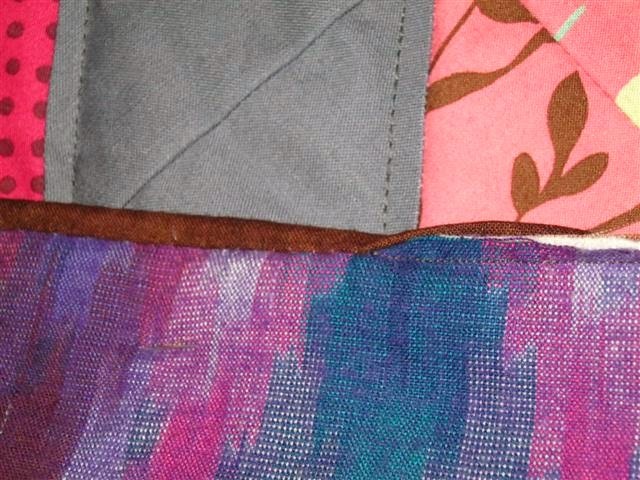 In this case, binding this quilt felt more like adding piping. It was a very tight job, and I had to crop the outside seam to almost 1/8" to make the binding strip reach below the seam on the back! But I've learned, 2 1/4" binding strips to be cut next time!